If you have a rectangle ABCD and point P. Is P inside ABCD? The idea how to solve this problem is simply beautiful. 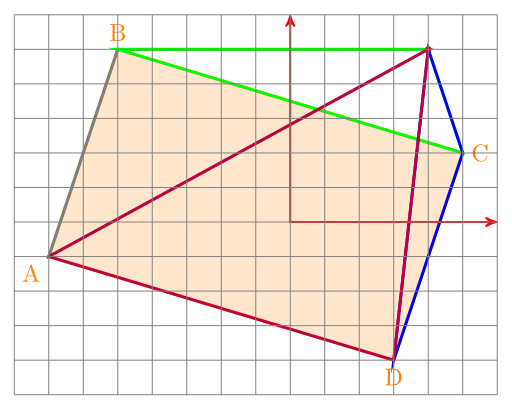 You might note that the area of the four triangles in is bigger than the area of the rectangle. 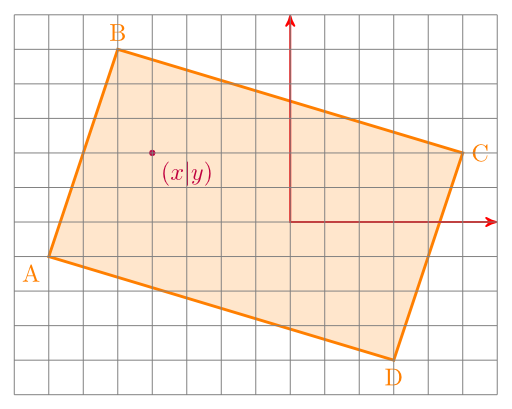 So if the area is bigger, you know that the point is outside of the rectangle. Please look at Jans comment. There is an error in my Python code, but I don't have the time to correct it. """Represents a two dimensional point.""" """Represents a triangle in R^2.""" 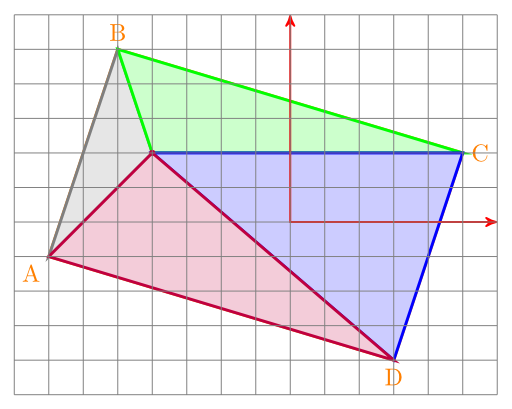 """Get area of this triangle. """Check if p is inside this triangle."""